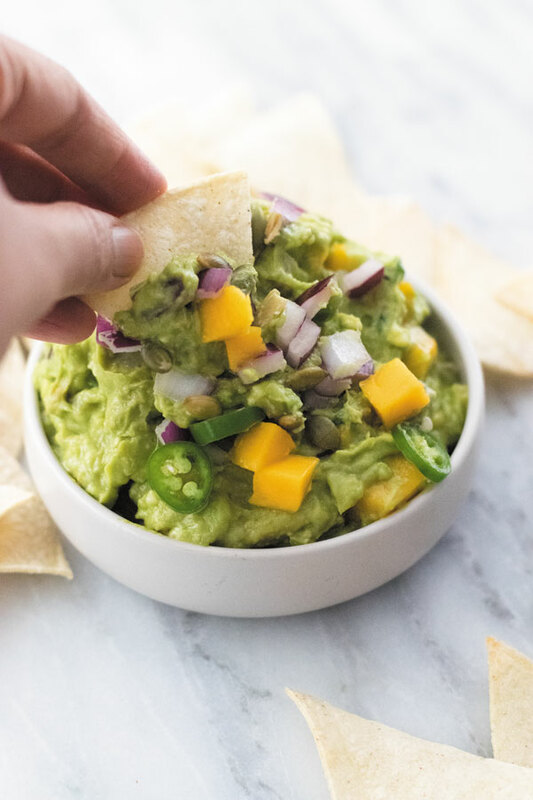 This wonderful grown up Tequila Mango & Goat Cheese Guacamole has tons of flavor! 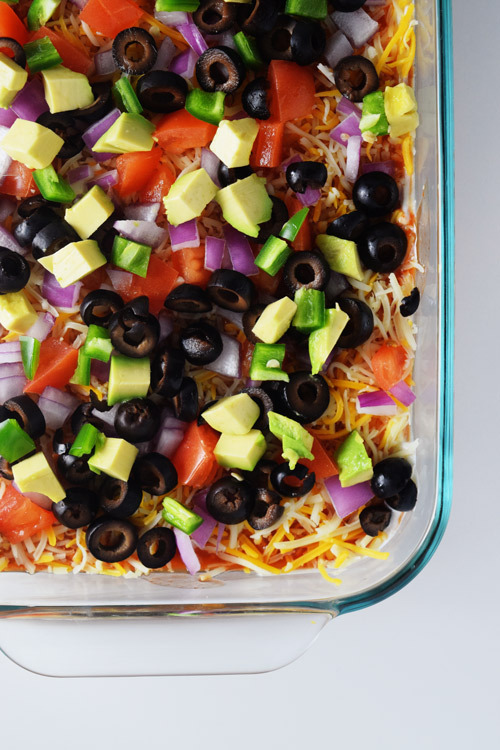 Great as a side to a Mexican feast or enjoy with chips & salsa! 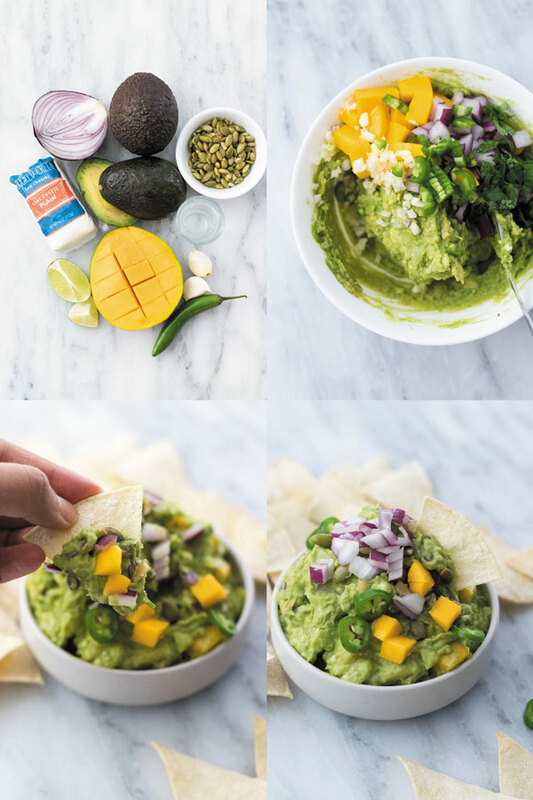 Creamy avocados, crunchy pepitas, creamy & tangy goat cheese, sweet mangoes, spicy onions and lime juice makes this one of a kind guacamole. Recently this amazing Mexican cuisine restaurant opened in our downtown and we ended up there for lunch one day. The menu is full of unique flavors, we started off with this unique sounding guacamole with added Tequila in there called Guacamole Sol where creamy avocados were mixed with goat cheese, crunch pumpkin seeds, spicy jalapenos, lime juice, tequila, mangoes and onions. One flavor packed guacamole it was! I immediately knew that I had to make it for blog and have this recipe under my belt because it’s a perfect recipe for gatherings and for the upcoming Labor day, this is a great outdoor recipe! I am soon leaving for India to visit my parents and I am beyond excited. I already have a loong list of things I am going to eat as soon as I land ready in my mind. It’s been a good few years since I visited so my dearest Indian readers, do you have any fun places in mind in Delhi with awesome food? !Do let me know in comments. As you can see in above pictures, making this guacamole takes like 15 mins start to finish. It is best made just when you are ready to eat. There is so much flavor in this that I seriously doubt if I will ever go back to eating normal guacamole!! 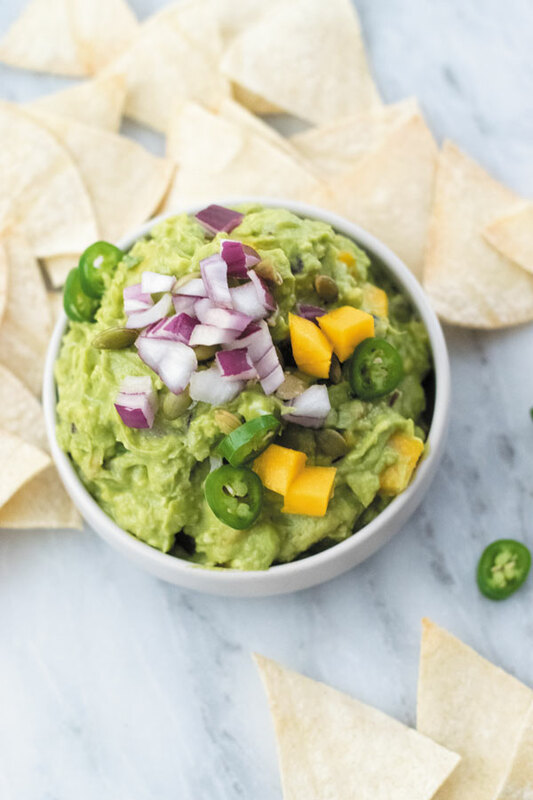 Served with crispy tortilla chips and lots of chilled drinks ,this is one guacamole a lot different than the usual guacamole but with tons of flavor & texture that everyone will love this! 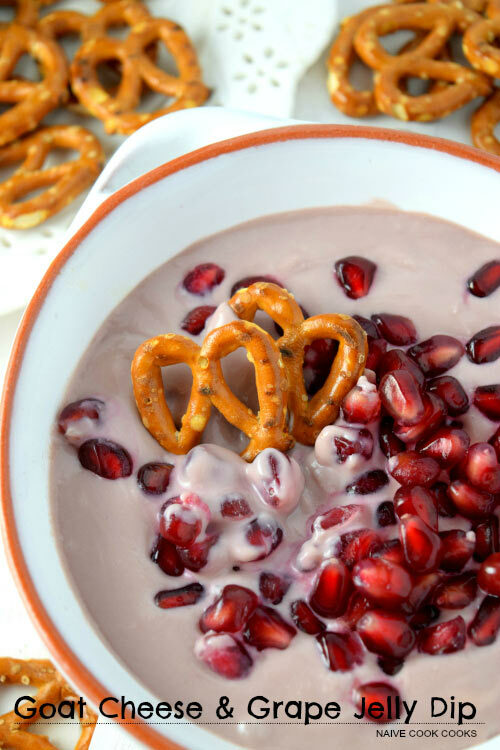 You have to try this atleast once to know how amazingly delicious it is! In a bowl add avocado and mash it using back of a fork. To it add red onion, cilantro, fresh mango, garlic, tequila, jalapeno, goat cheese, salt and lime juice. Mix it all together and taste. Adjust whatever you want more as per your taste. 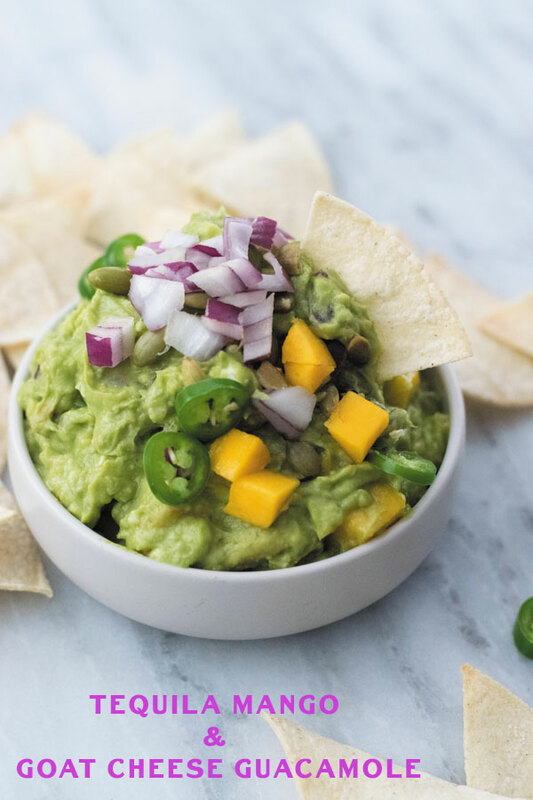 Serve garnished with more mango pieces, more onions and more pepitas and lots of tortilla chips! 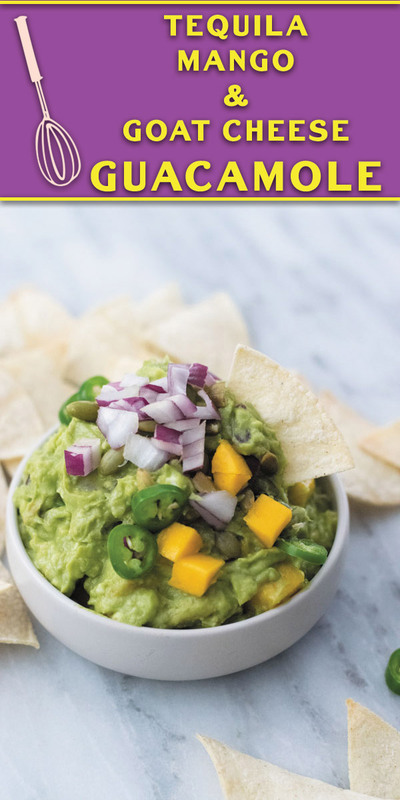 I love the add of sweet juicy mangoes in guacamole. Deliciously different! This looks so good! 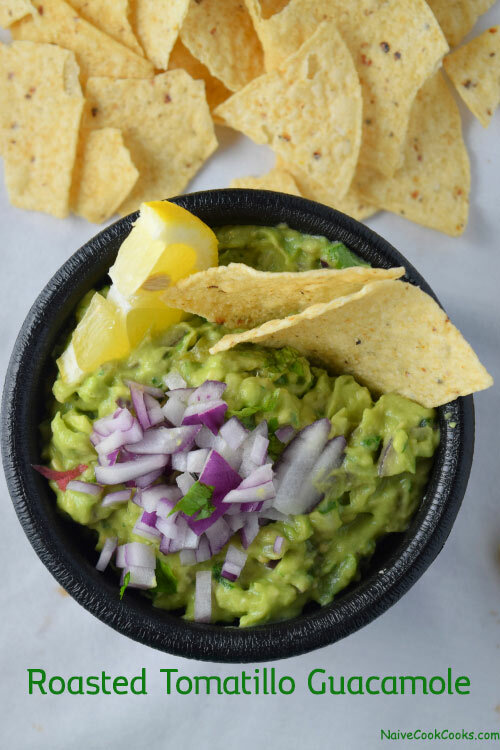 Goat cheese in guacamole?? What a brilliant idea. And that mango sounds heavenly in there, too. YUM!